Spoil your Valentine this year with twelve of these decadent treats. 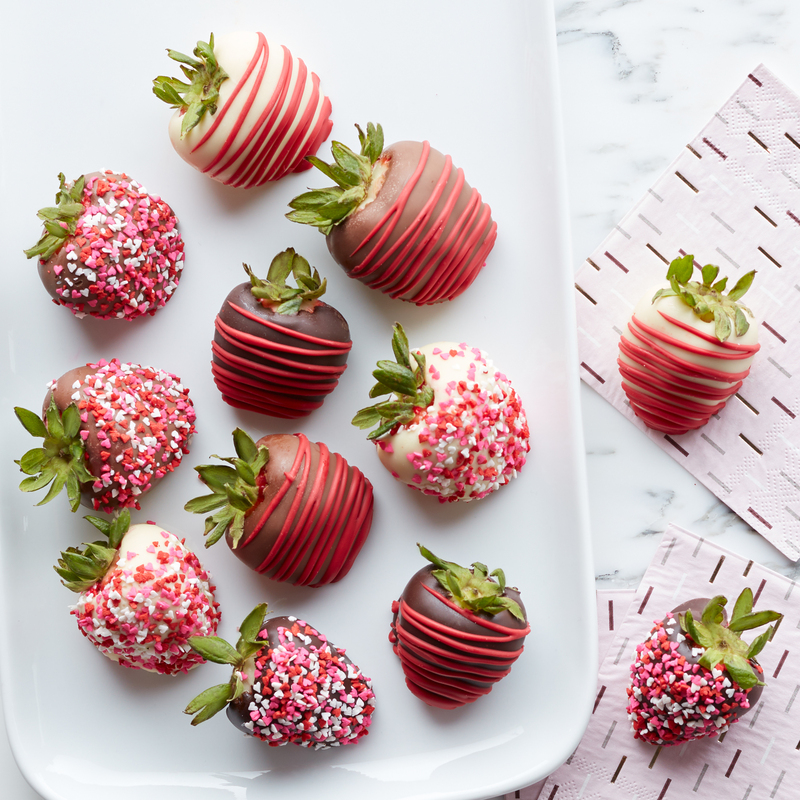 Our mouthwatering strawberries are covered in luscious Belgian chocolate, then dressed up for Valentine’s Day with festive sprinkles and colored accents. This delicious gift comes with four each of milk chocolate, dark chocolate, and white chocolate dipped strawberries so they can sample them all! These berries will make the perfect dessert course for your special Valentine’s Day dinner.